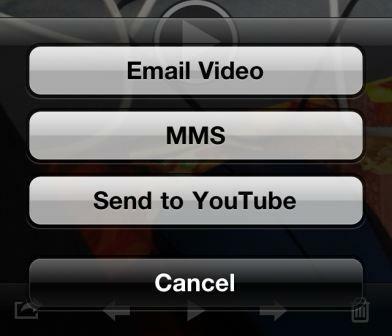 Since iOS 4.1, iPhone, iPad and iPod touch are now capable of uploading video clips in HD (high resolution or high definition) format to YouTube. The ability to directly upload HD videos straight to YouTube feature have been available in most non-Apple smartphones or mobile phones, and the addition of the capability in iOS should please many Apple users. Uploading high resolution videos straight to YouTube directly from iOS devices such as iPhone, iPod touch and iPad is very easy and simple, with just few steps involves. 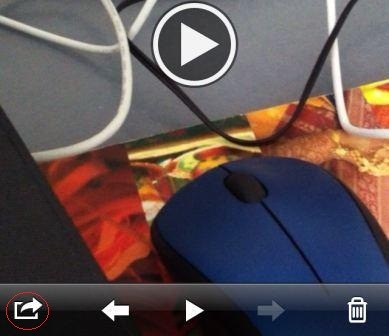 Open Photos app and go to the Album (such as Camera Roll) where the HD video is saved. Tap to select the video which wants to be uploaded to YouTube. Tap on the Send icon in the lower left corner of screen. Hint: Tap once anywhere on video to show the controls if hidden. Tap Send to YouTube button. 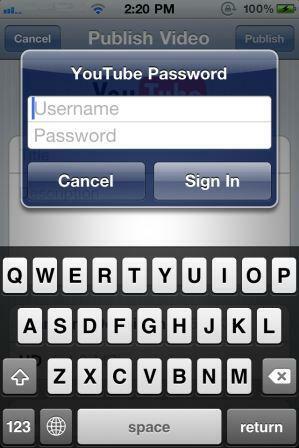 Enter the YouTube account user name and password to Sign In. Fill in various fields that describe the video to be uploaded.